The Music of Grand Theft Auto V features almost 60 tracks split up between three distinct volumes. Grand Theft Auto games are known for a lot of things, music being far from the least of them. Grand Theft Auto V is no exception, with its in-game radio stations that play a wide range of music, and now fans (and non-fans too, I suppose) can enjoy the tunes outside of the game thanks to today's release of the GTA V soundtrack on iTunes. The Music of Grand Theft Auto V is a collection of 59 tracks broken up into three "albums." 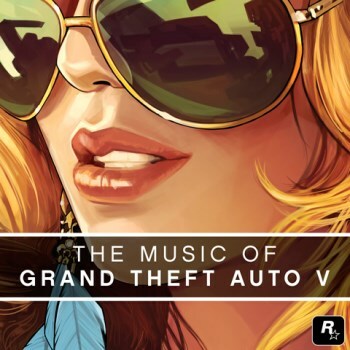 Volume 1: Original Music is a collection of new music from various artists including Wavves, Health and The Chain Gang of 1974, whose track "Sleepwalking" appeared in the GTA V trailer. Next up is Volume 2: The Score, in which DJ Shadow "layers, mixes and arranges" the stems of the game's interactive score, composed by a team including Tangerine Dream, Woody Jackson, The Alchemist and Oh No. Finally, Volume 3: The Soundtrack, serves up 19 songs from up and down the game's radio dial, with artists including Flying Lotus, Charlie Feathers, Simple Minds, Waylon Jennings and the Mexican Institute of Sound. Each album is available now from iTunes for $9.99, or you can snag all three in a compilation for $24.99, which really seems to be the way to go. Want to know more? Learn all about the soundtrack and the music that brings Grand Theft Auto V alive at rockstargames.com.